EP: DSM Popup – Should/Can I disable it? When it comes to the Enterprise Portal and integrated applications the process of customization in terms of display rendering or functional setup is nothing out of the ordinary. Organizational setups wish to achieve optimal displays for ease of work and to be in accordance to operation preferences. In this blog posting I am going to cover and address some commonly posted questions surrounding the DSM Terminator. Firstly, What is the DSM Terminator? This is a special script called the Distributed Session Manger which is responsible for session management and handling on the page. Often I come across issues surrounding the Portal and cases of session “rentention” i.e. sessions are not closing accordingly causing one user to be presented with another users session thus causing a security nightmare. From an end users perspective utilizing the enterprise Portal is a straightforward process. We simply logon, fulfill our work obligations and logoff. As an end user we are only concerned with the graphical representation of the Portal that we are delivered with through our monitors representation and we are not truly troubled by what underlying functionality is taking place. When we choose to logoff the Enterprise Portal ordinarily our approach is standardized meaning we select the “Logoff” option in the top right hand corner of the page. On some occasions the DSM Popup if not familiar to end-user eyes can be deemed as error based or problematic and this is not the case. The DSM Popup from an operation is completely standard behavior and is no cause for concern. After a user selects “Logoff” the standardized Portal session management mechanism comes into play. When the user closes the browser window or navigates to another position, the browser sends a mass request to a dedicated portal component to end one or more open sessions (by default DSM.Terminator). This component distributes the corresponding termination commands to the component systems. The Termination command then closes the server session. Can I suppress or turn off this Popup? 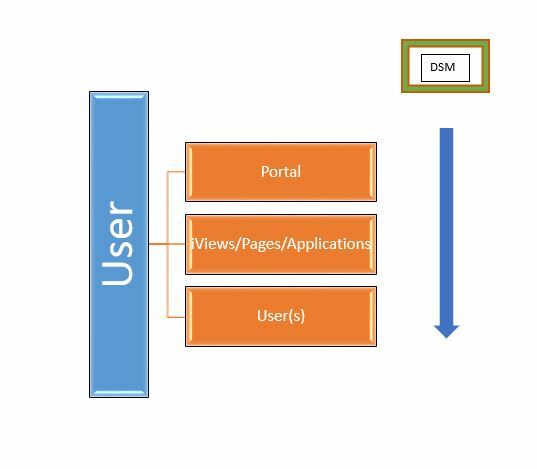 With the DSM Terminator and its potential disablement/popup removal we must remember that the DSM is responsible for session management handling on the page. The steps on how to disable the popup along with a comprehensive overview on the exception should be achievable via SAP KBA: 1805818 – How to permanently disable the Session Management alert popup in EP however you mentioned this is not the case. As per the documentation outlined above for 7.3 the symptom highlights that after disabling the DSM and restarting the Portal or logging out/and subsequently in again the DSM appears once more. In case of a Portal restart the default setting saved in the service configuration /applications/com.sap.portal.appintegrator/services/Common_Configuration for the entry “AlertSessionManagementMismatch” is used. /nwa > Configuration > Infrastructure > Application ModulesIn “Module List” search for “com.sap.portal.appintegrator” and highlight it. Scroll down to “Web Module Details” and select “Common_Configuration”Scroll down to “Portal Service Details” and * the property called “AlertSessionManagementMismatch” to false. Property not changing, across all nodes. If you notice the property may not change for all java nodes such an occurrence has been highlighted e.g. within FPN environment. The root source of this occurrence was due to the consumer and producer portals being on different domains, but this is not recommended. – Consumer and producer portals must reside in the same domain. Please see SAP Note: 880482 for restrictions for FPN implementation (if applicable).